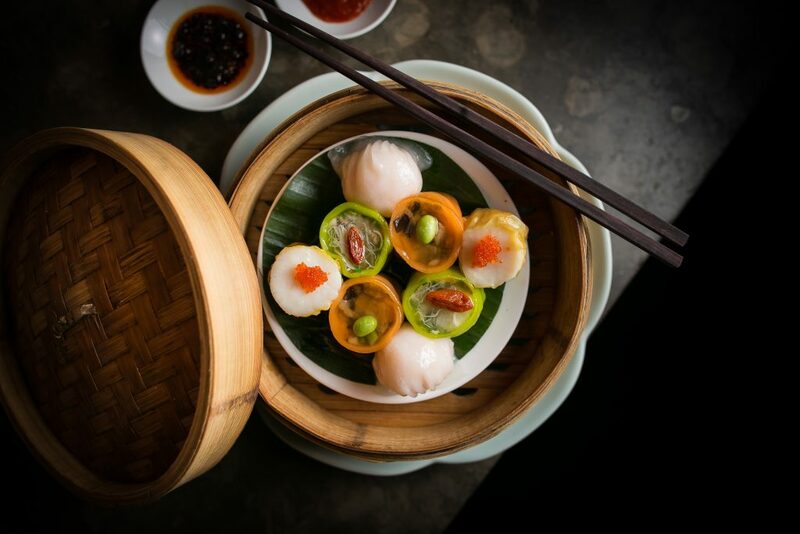 Established in 2001 in London, Hakkasan has 11 restaurants worldwide, located in the United States, Europe, Middle East and Asia. 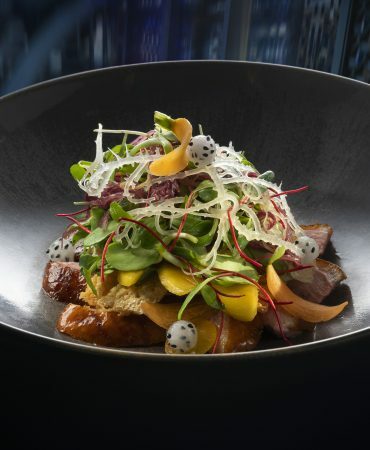 Hakkasan offers guests a world-class culinary experience helmed by Michelin-starred Executive Head Chef Tong Chee Hwee. 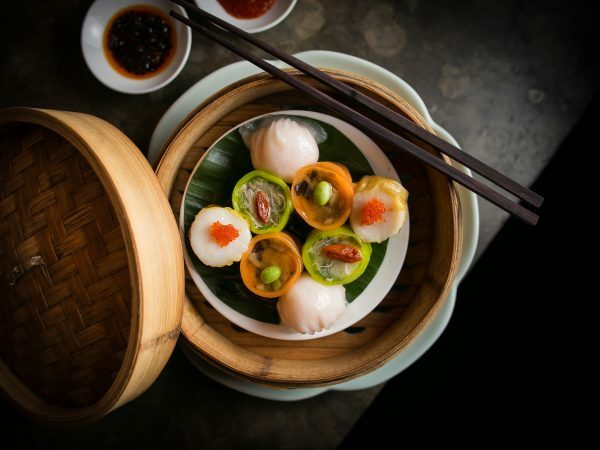 The menu is a modern interpretation of authentic Cantonese cuisine, using the finest ingredients and expert techniques to create timeless yet innovative signature dishes. 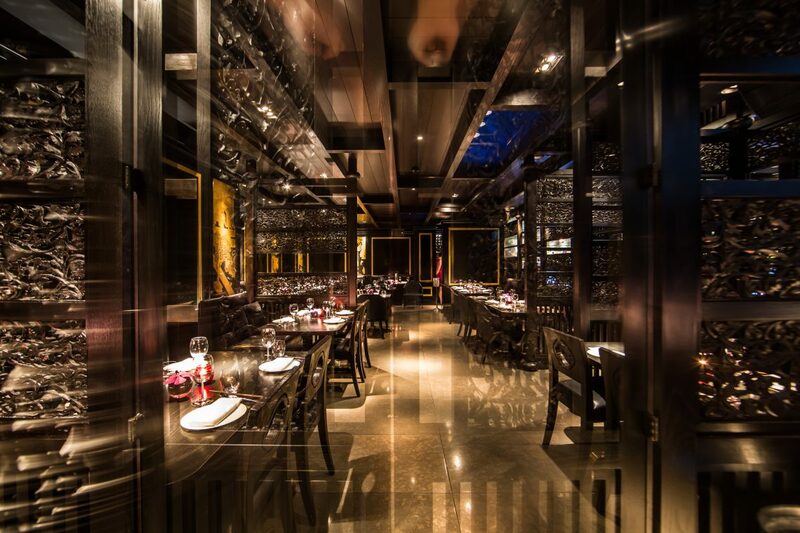 Hakkasan Mayfair gained a Michelin star in 2011, less than a year after opening, and has retained it ever since. 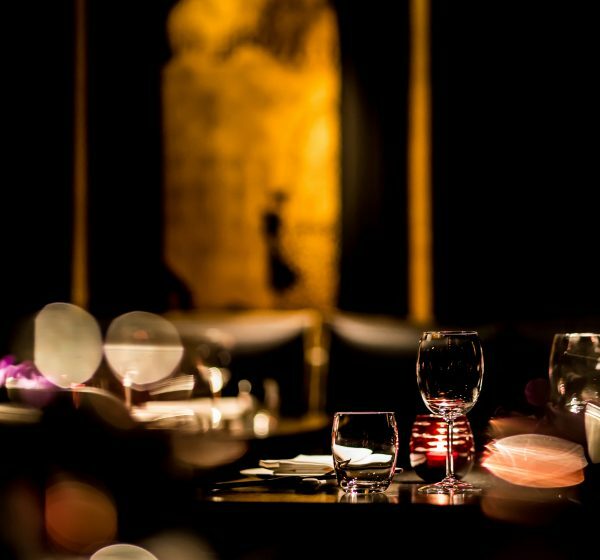 For a weekday lunchtime in Mayfair after a thrilling morning shopping on Bond Street, I was highly excited to be stepping into Hakkasan after all the great things I have heard and read about this restaurant. As you step in you are greeted by a lovely welcoming team who take your coats and shopping bags to put them in the cloak room with no fuss. Sergio was looking after us and took us to our table with comfortable seats and sofa style seating on one side. We were explained the menu – on offer is a set menu which lots of people were partaking in and for a Wednesday lunchtime the restaurant was buzzing. The atmosphere is brilliant inside with music in a Café Del Mar style at just the right volume to be able to talk! The décor is elegant and full of light with big windows looking onto the street and beautiful embroidery scenes of dragons on the sofa style seating. We started our meal with the famous Lychee Martini Cocktail and perused the menu where there are lots of temptations and plenty of choice. After Sergio’s recommendations we decided on the Crispy Duck Roll and Soft-Shell Crab to start with, both dishes were cooked to perfection with the duck roll pastry perfectly flaky and the duck inside was flavoursome and delicious along with the sauces provided. The crab was served on a fried egg yolk mountain which was a sight to behold! The egg was like thin noodles and added a unique extra flavour to the starter, it had great presentation which was different to how I have seen crab served before. The crab was great for sharing as it had been pulled apart and there was enough for the two of us to dig in! We were then surprised by Sergio with the Baked Venison Puffs – one of his favourites and we could taste why! The pastry was like a brioche type coating with sesame seeds and the meat inside was succulent and pure joy as you took a bite! You could quite easily eat them without any soy sauce or other such dips, a real taste of beauty, mouthfuls of unequivocal brilliance. We then had the Roasted Silver Cod, Stir-fry Black Pepper Rib Eye Beef and Duck Stir-fry with additions of steamed jasmine rice and stir-fry lotus root, asparagus and lily bulb. The cod was deliciously cooked, very fresh tasting and delicate texture. The sauce it came in – Champagne and honey, was sweet and slightly salty, with a stickiness to it. The beef had a lovely texture, it was not fatty and had a meaty succulent taste from the meat being cooked in Merlot, the spring onions added a fresh kick to the dish. 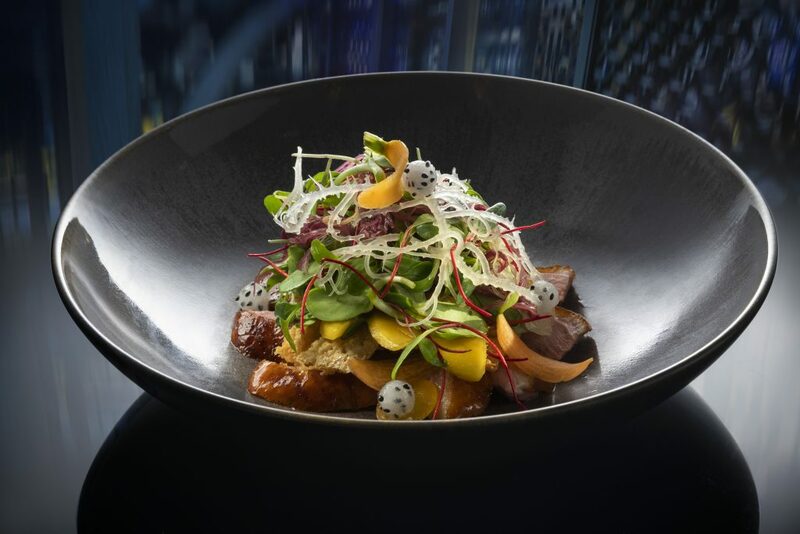 The duck was our favourite dish with divine flavours of sweetness, spicy and nutty – everything you would want from an Asian dish, lots of layers of taste. The vegetables were cooked al dente with a crunch to them and the lotus leaf was not overpowering and it was unique to try as something new. The rice had hits of jasmine flavours and was a good portion size to share, it had a nice stickiness to it. Next came dessert! The lovely thing with the Hakkasan desserts was not just the wide variety of selections available but the portion size too, they are not big so a nice way to end a delightful meal. We were recommended the Yuzu Tart and Spiced Chocolate Roulade. Both were not heavy desserts and the Yuzu tart was refreshing and cleansed the pallet. It had crunchy and soft meringue with sweet lemon flavours, burnt with a flame torch meringue and Yuzu ice cream. The Chocolate roulade was like an explosion of Christmas flavours! It had ginger, nutty flavours and cinnamon tastes, it was soft and delicate and served with cocoa nibs ice cream. We also tried additional cocktails on our visit: the Ruby Tang (only available in London), Rhubarb Margherita, Ginger Cooler and Lemon Aviator, the bar is a nice area where you can sit. 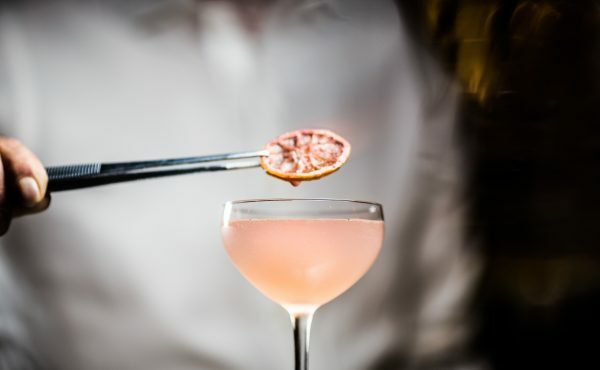 The choices on offer in the drink’s menu are a plethora of different Asian infused drinks and classic cocktails plus wine and beer etc. The cocktails were made in reasonable time and Sergio was very helpful with us pondering over what to have! 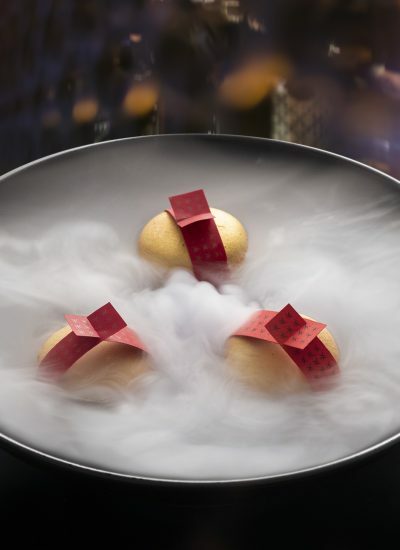 In celebration of Chinese New Year, from 28th January to 24th February Hakkasan Hanway Place and Hakkasan Mayfair will reinvent the classic fortune cookie, commissioning renowned author Will Self to pen the fortunes. 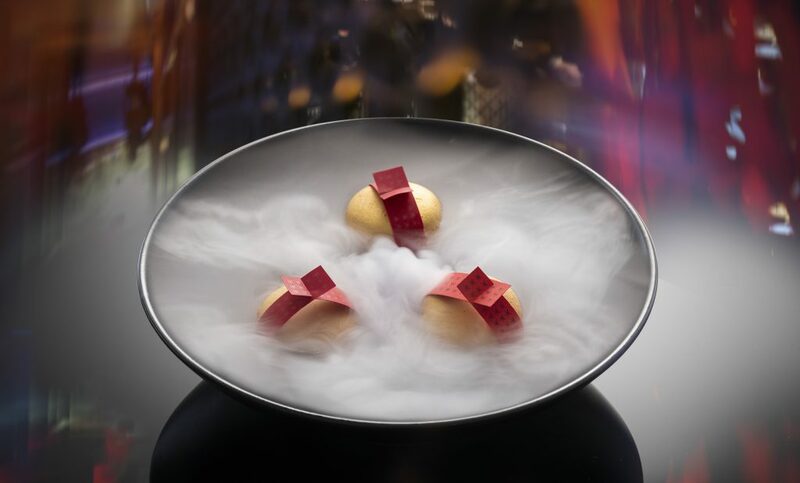 The fortunes will be written on a ribbon and placed around the Hakkasan macarons, to create the fortune macaron. Instead of housing a traditional fortune, each macaron will feature one of Will Self’s 88 witty, satirical and sometimes dark musings on the topics most relevant to modern day life in London. The fortune macarons will be available as part of the Chinese New Year set menu and also a la carte. 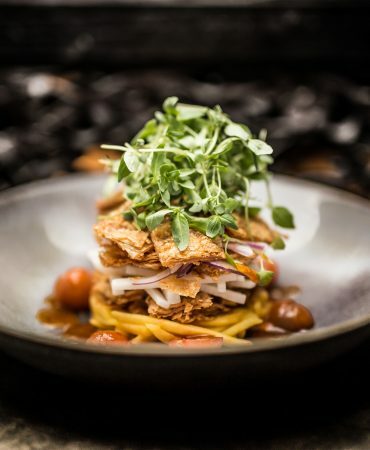 Both Hakkasan restaurants in London will be also celebrating the Year of the Pig with the wishing tree tradition inspired by the Lam Tseun trees in Hong Kong. 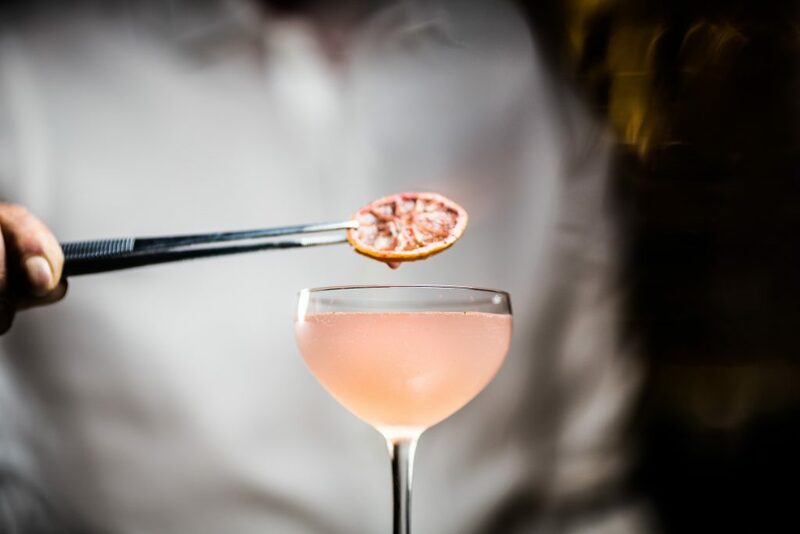 There will be an 8 course Chinese New Year set menu available for £88 per person for a minimum of two people in which the fortune macarons will feature. 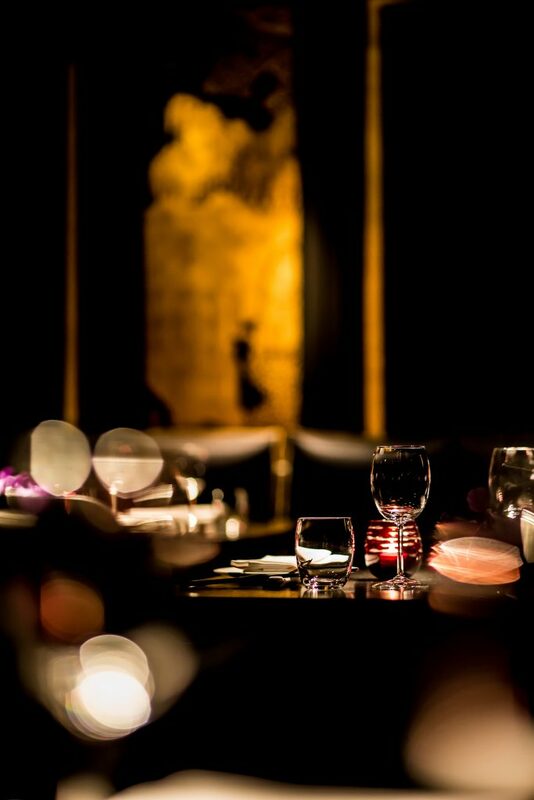 Make sure to book as I would return to the Hakkasan right away! Not only was the dining experience fabulous with all the flavours and perfectly created dishes (the kitchen is full of talented chefs who have a real passion for creating the finest dishes with seasonal ingredients), the cocktails are delectable and the staff really make the visit, nothing was a problem and their friendly attitude and knowledge added to a wonderful afternoon in Mayfair, a real culinary high.